Proximidade is Portuguese, and means "vicinity" or "nearness", even "neighbourhood." Jayne from Our Great Southern Land has greatly honoured me and this blog by including Timespanner on a list for this award over at her blog (thank you most deeply, Jayne). Usually, I don't accept such awards, because of my concerns that, hermit that I am, I don't know enough of other blogs to pass this on to (and, generally, those I do know already have said things). This, though, I'll accept (even though it will take some time for me to fulfill the conditions) because it came from Jayne and her wonderful blog on Australian (and a bit of Kiwi) history. The Proximidade Award is described as: ‘This blog invests and believes in PROXIMITY - nearness in space, time and relationships. These blogs are exceedingly charming. These kind bloggers aim to find and be friends. They are not interested in prizes for self-aggrandizement! Our hope is that when the ribbons of these prizes are cut, even more friendships are propagated. 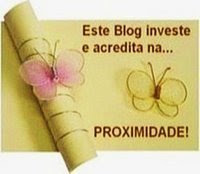 Please give more attention to these writers!’This blog award should be sent to your favorite eight bloggers and they, in turn should forward to eight of their favorites. You should include the text for Proximidade (above) in your announcement blog. A-ha!!! she's accepting it!!! Cool!!!! I read Jane's post and commented. Very very cool she nominated Timespanner as being a seriously cool blog. By the way I'm about to put in a back link on the Wesley Spragg story. Thanks Ice you are gold!! !